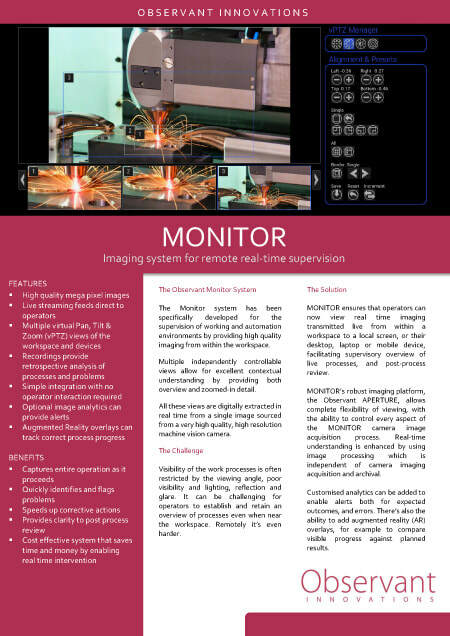 MONITOR’s robust imaging platform, the Observant APERTURE Imaging workbench, allows complete flexibility of viewing, with the ability to control every aspect of the MONITOR camera image acquisition process. 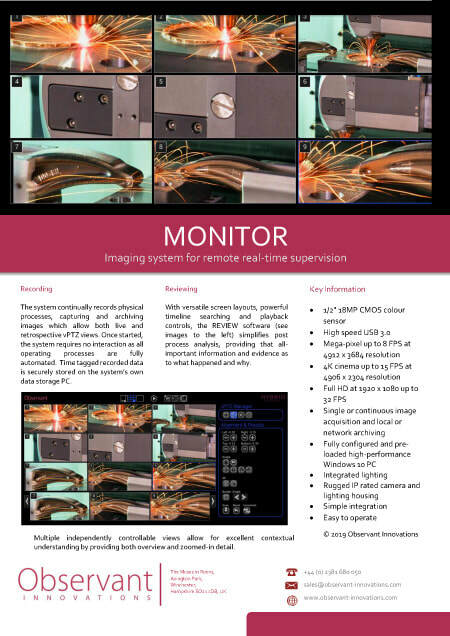 ​Real-time understanding is enhanced by using image processing which is independent of camera imaging acquisition and archival. Customised analytics can be added to enable alerts both for expected outcomes, and errors. 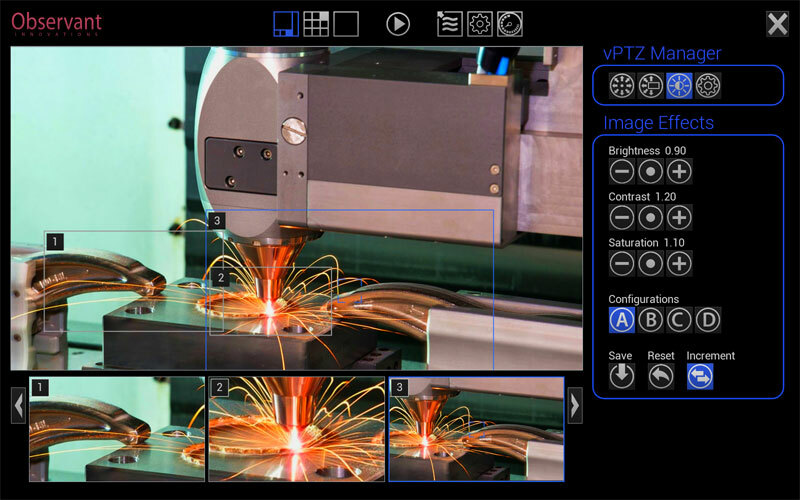 There’s also the ability to add augmented reality (AR) overlays, for example to compare visible progress against planned results. 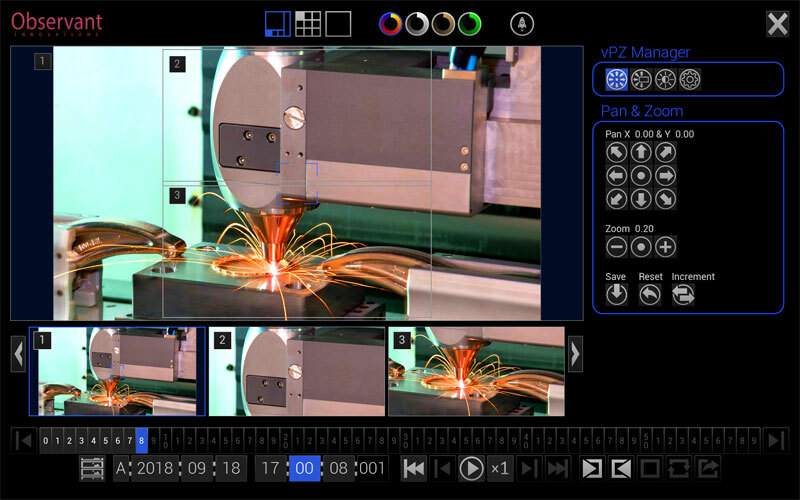 The screen shot above show the MONITOR camera application with multiple independently controllable views. 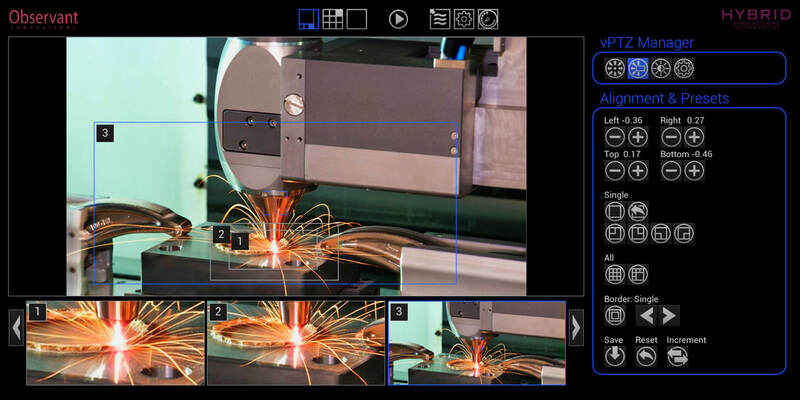 This allow for excellent contextual understanding by providing both overview and zoomed-in detail. The system continually records physical processes, capturing and archiving images which allow both live and retrospective vPZ views. Once started, the system requires no interaction as all operating processes are fully automated. Time tagged recorded data is securely stored on the system’s own data storage PC. The system may be configured to meet unique operational requirements, for example, to store all recordings in a single archive, create a new archive for each new day of operation, or even to create a new archive each time a recording application is run. With versatile screen layouts, powerful timeline searching and playback controls, the REVIEW software (see image below) simplifies post process analysis, providing that all-important information and evidence as to what happened and why.